A big thank you to the team at Fat Face for giving School Gate Style blog readers the chance to win a £100 voucher to spend online or in-store - and what a great time to win as not only is the sale still running, the new autumn/winter stock has come in - you'll be spoiled for choice. Here's how to win..
To help you choose a favourite item, here are some of my picks..
Menswear and Childrenswear to pick from too. 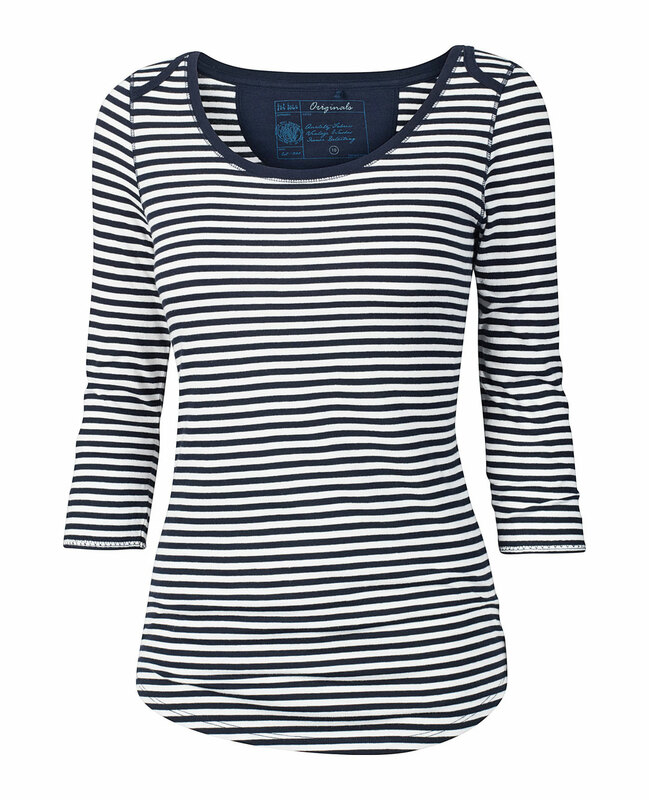 My favourite item is the Billie striped jumper..so classic and comfy! Ooooh, there are so many things I like. My favourites are the Lilia Leather Sandals, Embossed Leather Wallet, Trinity Waterfall Cardi and the linen trousers. Amy Knitted Gilet in camel....gorgeous! It's the Lilly quilted jacket. I have loved fat face for years, especially the shop at Dublin airport!! I have shirts jeans and trousers that have been worn for years with love. Here is my list and fingers crossed for a win. Sian pink spot shirt, tapered chinos, school satchel, Blair lace up boots. That will do for the moment!!! 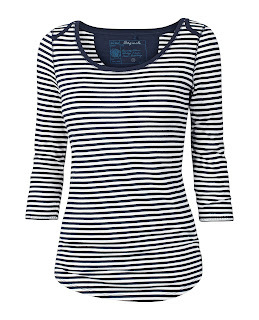 Billy striped jumper....just right for the autumn chill! So much choice! But the school satchel is a must, with the Evie embroidered tunic and the Bird and Spot scarf following closely behind. Great competition. - love fat face! The Sian pink spot shirt is a favourite of mine, neutral enough to dress up for work or dress down with jeans. 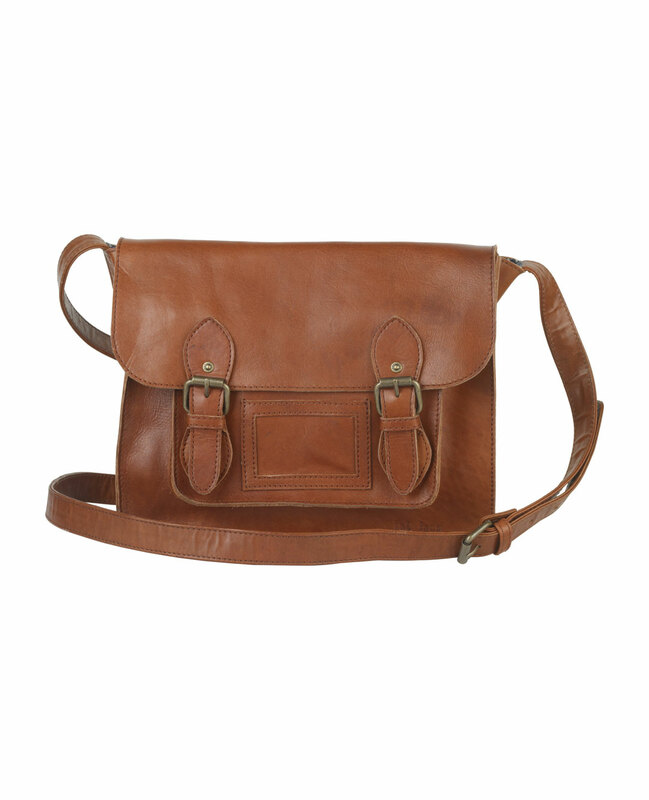 Loving the school satchel too though, beautiful! Wow, so many lovely items! If I have to narrow, I'd go for the Lily Quilted Jacket. Could so some serious damage on that site!! What a fab competition!! Im totally loving the Gemma Gilet in Flame! !so so hot (haha pun alert)also love the Spot Canvas Cross Body Bag and the Karo Trainers!! What a great competition, so much so I'm coming out of lurkdom to take part! My fave is the pretty Teegan Dotty Spot Tunic and I love the floral snood too - adore that turquoise colour. love it all, choosing scarf as since started reading your blog realise that scarves and accessories make outfits and boy do I need help ! Ooo i love fat face! I always drool over their tunics and i love the teegan tunic but can't decide if i like the floral kisses or the navy spotty one best! These are both great colours for Autumn and i would wear them lots. Thanks for pointing out the email sign up, i can drool lots more now! I love Fat Face and your blog is great. My fave is the Minnie Cable Cardi in either Navy or Carmine. The Gemma gilet is also lovely. I won't lie, I LOVE the bag. If I could buy any two items it would be the dark indigo supersoft skinny jeans and that satchel. As the both would make for plenty of different looks! Are competitions open to overseas followers Avril? Oh I like the Lily quilted jacket, floral snood, bird & spot scarf & Lyon lace vest! Tania tunic is my fave great neutral colour would get plenty of wear in my wardrobe. So much choice - I have only just discovered Fatface but am loving it! Oooh my favourites are the Frankie stripe jumper in navy, Lydia pointelle jumper in ecru and the Lily quilted jacket! The billie jumpers, either striped or plain, are lovely, and I think I'm a bit obsessed with the school satchel! I love the Tania Tunic - the dragonfly print is gorgeous. My favourite item has to be the Floral Printed Snood in turquoise. It would bring a bit of Mediterranean sunshine to any winter outfit! Love it all, utility shirt, jeans, Gemma gillet (one for you!!) And the Erin short boots! My favourites are leather cross body bag in tan, Olivia shirt dress both colours. And as we are coming into summer I like the Maya leather sandals. Lots to like but, like quite a few others here, I like the Tania tunic and possibly the Teegan tunic, although it may not suit me... possibly a little too full below the waist for me. Such a fabulous give away! So many lovely things, I really love the Billie jumpers and crochet snoods! Mustn't wish summer away, but it would be nice to cosy up in those! Love your blog...it's gotta be the Erin Tall Boot in a beautiful Chestnut colour. Just what I'll need for those cold school-runs in the not too distant future! Fantastic blog - cant believe I only just found it! Been missing so much! So many lovely things to choose from but I would say the Tanya squirrelled print tunic is my favourite would but great with leggings into autumn. I just love this bag: http://www.fatface.com/bags-and-wallets/canvas-cross-body-bag/invt/36905/?colour=Navy I received it as a birthday present 2 months ago and it's been perfect for the summer holidays with 3 young children as you can cram so much 'stuff' in plus it's colouring will travel well through the winter. Good buy. I love the coloured skinny trousers as you have on the blog, a Henley tee in cream and The minnie cable cardi in ocean green. I also love the joey vest and t shirt in navy. I love the Thelia Crochet tunic in Slate Rose. Lots of things to like though! Love the Billie stripe jumper and the multi striped scarf. And love your blog! So much on that site that's lovely stuck between the crossbody bag in peat and the Tania tunic but if I had to choose between the two it would have to be the tunic! Liking the Jacey spotty top and Gemma Gilet, but there are loads of lovely things there! I love the oversized parka. A classic which would be ideal for autumn. I think I'd go for navy.....or chocolate....navy. Both?! 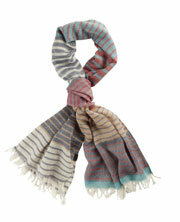 A bit in love with the multi-stripe scarf here. I think my scarf collection needs augmenting! Compliment jewel colour skinny jeans and Molly buffalo check shirt for some yee ha style (and like Idea that buffalos might have names) Merlin parka is lovely for autumn walks who can't resist a fur lined Parka jacket! Signed up to FatFace newsletter and following you on Pinterest. I love the Bertie knit tunic - perfect for winter!! Love fat face, love this competition, love their new stock!!! So hard to choose but the dragonfly print top gets my vote as I adore insect stuff and would look awesome with teal jeans and black knee high boots! My favourite item would be Molly Pop Over Dragonfly Shirt but there are loads of nice items at Fat Face! Following on twitter @lauralismanis, signed up for newsletter, liked your blog on facebook + pintrest. 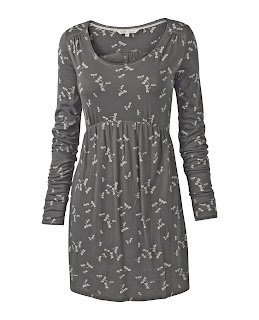 Love the 'Ingrid Floral Kisses' Dress.Fat face dresses are super versatile; can be worn simply as a stand alone piece or layered for autumn/ winter warmth - great with tights and boots and with leggings / jeans etc. Pretty print and lovely soft material - great stuff! I love the 5-pocket cord skirt in tan, the lace plain vest in ocean green and I'm team them with the Erin tall boot in chestnut. 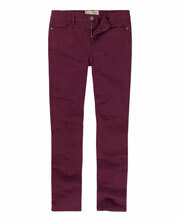 I'm also seriously considering buying a pair of tapered chinos in every colour they have! My fav items have to be http://www.fatface.com/serena-50s-palm-tree-dress/invt/35544/?colour=Tropical%20Coral the Serene palm tree dress its gorgeous!!! - LOVE the Molly Pop Over Dragonfly Shirt! Here's me thinking I'd entered already! :O I hadn't at all! Email subscribed to Fat Face also! Great comp as per usual! Love the school satchel and all their scarves! Carrie Kaftan is one of my favourites. Following via Twitter, Facebook, Pinterest & GFC. Hi, love your blogg! I have just signed up to follow you on facebook and Pintrest (my mega time waste hobby). From the new fatface collection O love the oversized Parka in navy. I need a new dog walking coat for the autumn - well a whole new wardrobe really as have recently dropped 2 dress sizes. I adore Fat Face - there's one opposite my work, which is A Bad Thing! It's all about the tunics for me, my faourite is the Tania Squirrel Print. Just fabulous. I follow you by Facebook and Twitter adn get your daily email update. Loving the multi stripe scarf & satchel.